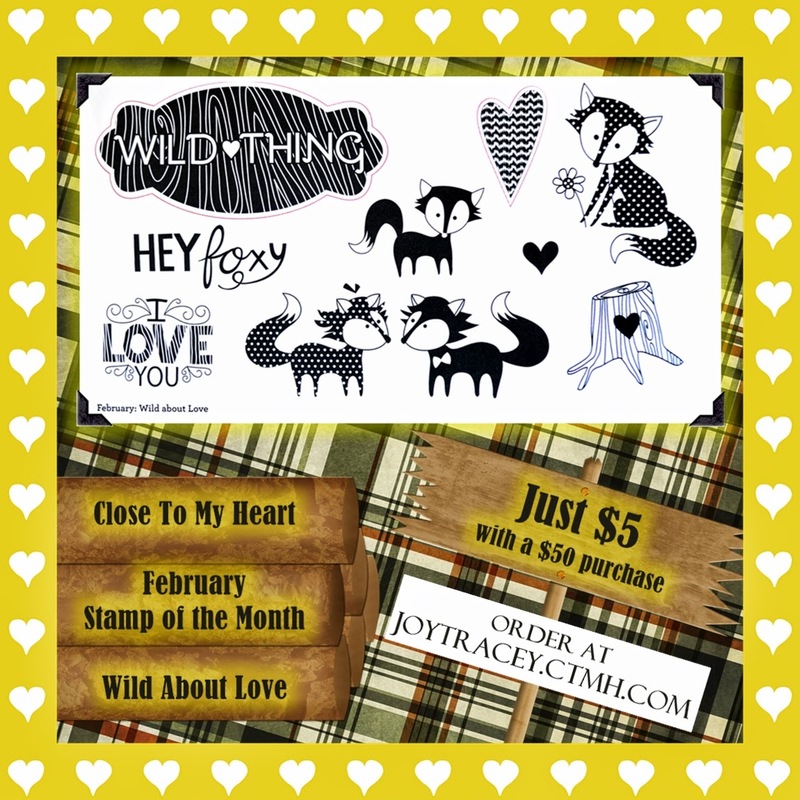 Obsessed with Scrapbooking: FREE Stamp with Close to My Heart Purchase! FREE Stamp with Close to My Heart Purchase! It's a special Pre-Valentine promotion time here on Obsessed with Scrapbooking! From now through February 14, 2014 (or until supplies last), get this exclusive "Friend" stamp for FREE with any Close to My Heart purchase at my CTMH website shop! 1) Order any Close to My Heart products at joytracey.ctmh.com. 2) I will ship out the stamp to you separately - do not add to cart. I made this "friend" card last fall (click photo to see the post and video on how to make it). The exclusive "friend" stamp coordinates with the Close to My Heart Artiste Cricut cartridge and is NOT available for purchase anywhere! Here are some other promotions Close to My Heart is running (which you can take advantage of IN ADDITION to the "friend" stamp promo above). 1) Leave a comment below - Plans for Valentine's Day? We are going to one of those Brazilian steak houses where men in gaucho pants come around with skewers of beef. Winner will be announced on February 16, 2014 and has two weeks to claim prize. U.S. Residents only, please, over 18. Void where prohibited. No plans as of yet for Valentine's Day. I've been to a place called Cafe Brazil but a Brazilian Steakhouse. For steak we like Texas Roadhouse. I make kebobs and especially like Grape Tomatoes on the skewer. We will got to a local Italian restaurant for lunch because hubby will be off work on Friday! I love baked ziti, but I also enjoy tuna casserole, shepherd's pie, frito pie, and a good stew. These are my fave casserole type dishes! Hope you have a wonderful Valentine's day! Sounds like fun! I have plans for Valentine's Day...an art class and out for supper with my hubby. That's all. There are 3 birthdays in my family so we are all going to get together have steak,lobster and cake to celebrate with Love. I made 15 Valentines. You are so generous. Would love to win the cart. Valentine's Day plans actually cover the weekend - birthday luncheon for a cousin on Sat; 9 good friends out to dinner on Sun. Hope you have a love-filled weekend too. I will be working during the day and as soon as I get home, my husband will be going to work... bummer... no plans for Valentines ... might do some crafting. Thanks so much for the giveaway ... I love this cartridge and I really appreciate all your tips and tricks! Blessings to All! I'm roasting a chicken with potatoes, broccoli and carrots. Rolls and chocolate chip cookies for dessert. Then we are going to dance in our living room. Good old classic rock and roll dances until we fall down laughing tired and we will watch Captain Phillips and go to bed. It's sweet and fun. No special plans for Valentine's Day as of yet. Thanks for the chance to win! P.S. - Your card is beautiful! A romantic dinner at home. My hubby is cooking. WOOO HOOO he happens to be one of these awesome guys that cook 3 dinners a week he leaves at 5:15 in the morning and gets home at 5:00 in the evening works 6 days a week....so he's the one that "Brings home the bacon and fry's it up in the pan" (LOL) & he's a really great cook too. Love your card for today it's so pretty even tho it's an oldie but goodie. That is a really nice card...love that friend stamp! As for Valentine's Day, I'll be going to Scrapbook Expo with my sister all day and then that night Hubby and I are going to some friends' house for dinner. Since it's Valentine's Day and all the restaurants around here will be crowded, we'll probably grill out (yes, even if it's cold) and have a fun dinner with some fun friends. My sister and her husband are coming to my city on Valentine's Day, so it will be fun to visit with them. I guess that's not as romantic as the plans of others, but I'm still looking forward to it! Nothing romantic planned but still a loving evening. We will be taking my mother-in-law out to eat. We used to have a special dinner (lobster or something fancy) with heart-shaped creme brulees for dessert with two other couples when we lived in L.A. Now that we're busy with the kids, we help out at their school parties & don't do much else. For Valentine's Day we will have a nice dinner and for dessert Red Vevet Cake. For Valentine's Day we are having Scallops and Steak with corn on the cob and Asparagus. More romantic when you fix it together and have a nice quiet dinner together. Love your card. This cartridge is so cute. Thanks for the chance to win! No plans for Valentine's day, but I know you'll enjoy yours, those restaurants are great. really cute card. Thanks for sharing. This cartridge would be excellent to have! I place foreign exchange students from all over Europe and Asia and am always looking for things like this to make gifts with. Taking my hubby to Cancun for his valentines gift!!!! OH MY WORD! Just now realized Scrapbook Expo and our trip to friends is NEXT weekend, not this week!! Laughing at my silly mistake. I would have been very upset if I'd been waiting for my sister to pick me up Friday and she never showed!! HAHAHAHA. So actually, not sure what our plans are for Valentine's Day!! Laughing and Laughing at myself!! Hubs and I don't do much "gushy" stuff on Valentine's day...However my birthday is four days after and he really tries to surprise me. I bet you'll have a ball at your Brazilian Restaurant! Happy Valentine's Day to you and yours! And that cartridge is cute too! The Hubs and I haven't celebrated holidays since we have been married...yep things changed so so much after we got married. I believe they call that false advertising, but according to him I should know that any day I can go purchase whatever I want. I try to tell him it just isn't the same. Nice card Joy. We will celebrate on a different, less hectic day. I love the examples and ideas you give. I am new in all this. I would love to win, Creat a Friend, it would start me off very nicely. Thank you for all your kindness. The friend card is very lovely. What a great deal. No plans yet, eek:( Hope to do something special. Hon has reservations at our local Italian restaurant for a special meal. He'll probably give me candy, gushy card, flowers and maybe a bauble. Sounds great, doesn't it! Of course, after that, I won't see much of him, he's an avid golfer! LOL! Celebrating our grandson's 18th birthday! We don't go out to eat on Valentines the restaurants are way to crowded. we will have a nice dinner at home. Your restaurant sounds interesting. I have no plans for Valentine's Day -- unless my son wants to go to a movie (his wife will be working on Valentine's night - bummer for them). Otherwise, I shall be working on layout packages for my Red Hat sisters for our March get-together. I have several layouts that I let them choose from and now they have let me know their choices. My job now is to make all the Cricut cuts and have them ready with background papers, etc. The gals in my Red Hat chapter will come over to my house where we shall have lunch and put together our layouts. I shall have already-assembled versions of each layout so they can see how theirs can end up but I'm sure most of the gals will add their own touches to each layout - which makes it all the more fun. 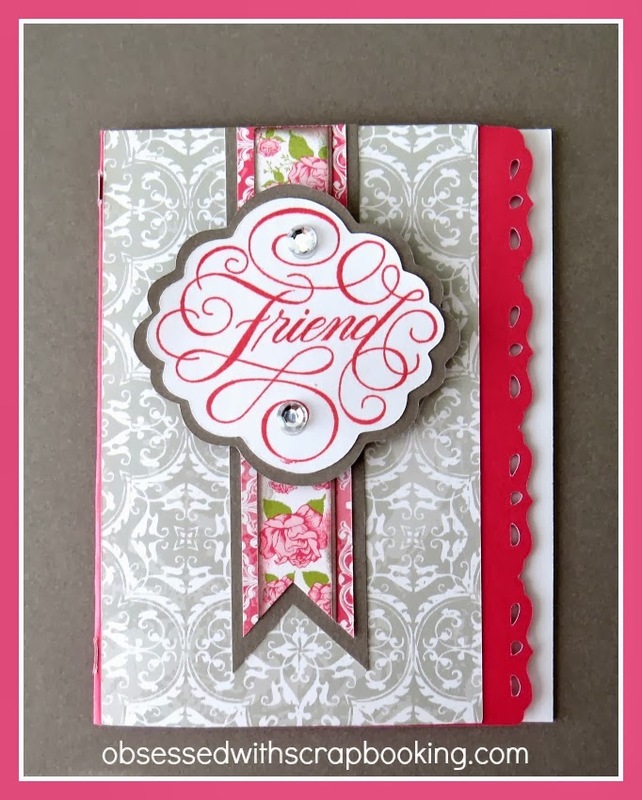 Beautiful card - the Friend stamp is so elegant! I do have my folder samples as tags but I always forget to take them with me when I shop so I have to figure a way to remember that but I LOVE the idea of the organizer for the folders themselves!!! Mine are just in a basket that falls on the floor and gets mixed up all the time. EXCITED!!!! We're going to a new restaurant in town for the first time. I didn't make my hubby's card yet, I need to do that Soon!!! Happy Valentine's Day Joy!!! Of course! Going out for a romantic dinner, then meeting friends some dancing afterwards! My favorite comfort food casserole is macaroni and cheese. Watching right now! So excited. Thanks for the chance to win. been watching HSN since midnight. 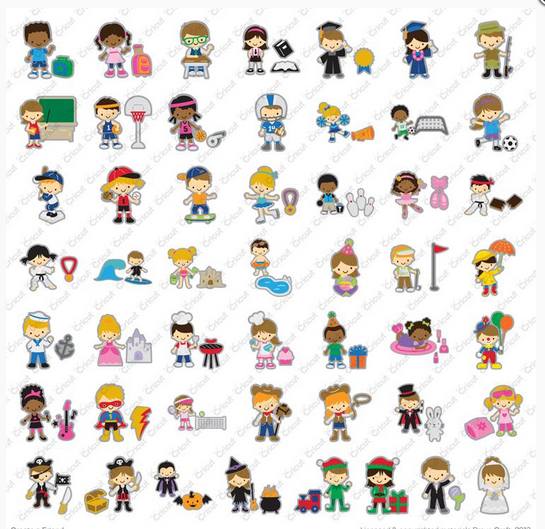 I love the new cricut and want one soooo bad!!!! We are in the midst of a winter storm, so no big plans for Valentine's. I am helping out my son, wife,and their brand new baby girl. Guess we'll be iced in together! Hubby is at home, miles away, hosting my other dil and 5 kids while that son is out of town. We are all expecting power outages! It will be a different kind of Valentine's Day! Been watching HSN! Love your friends card! Unfortunately, we have only Broadcast TV these day, so no HGTV and I can't watch. What a cute cartridge for your giveaway. Elaine S.
I did watch this morning and my husband bought it for me! Now I am anxious...won't come until April. I like that it has the Anna Griffin stuff on it. Thanks for a chance at another great cartridge which I could use on my new machine! I am new to your site and I am enjoying it very much. I love the ideas you give. I really enjoyed Anna Griffin yesterday and the new cricut. It is a great machine. I came, (well, tuned in) I watched, I bought! I can't wait to get it, and I can't wait to see what awesome creations you come up with to inspire us all!